When massive volumes of toxic chemicals are pumped deep underground at extreme pressure to fracture ancient rock formations, what could go wrong? The technique used to extract shale gas from its underground deposits is called hydraulic fracturing or "fracking". Huge amounts of water, sand and thickening agents are injected underground to crack open the rocks beneath which the shale gas is trapped. Shale is fast replacing oil as a cheaper energy source. Shale is oil and gas found in rock formations. Shale gas output, which was 9.7 trillion cubic feet annually a few years ago, could potentially grow to almost 40 trillion cubic feet by 2040, with the US far surpassing Saudi Arabia as the largest fossil fuels producer of the world. In fact, shale will account for as much as 60 percent of America's total oil and gas output. 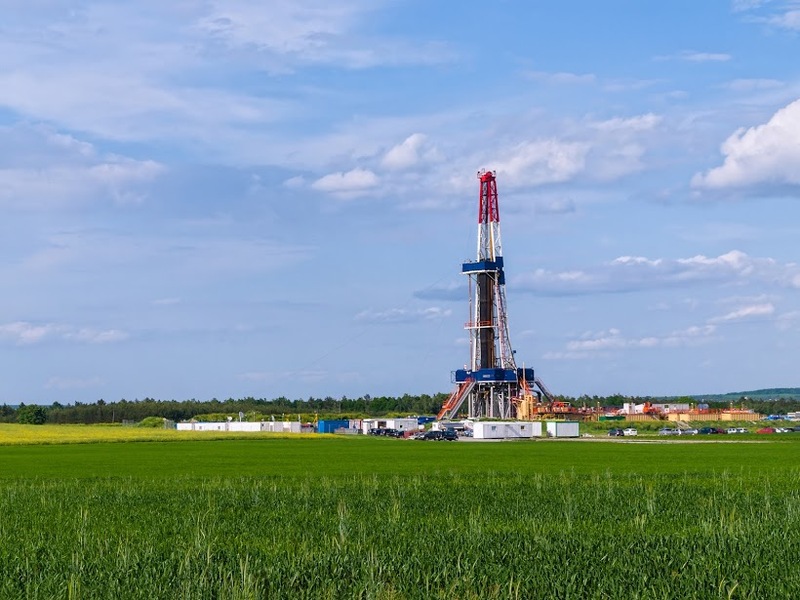 While vertical fracking has been around since 1949, the advent of horizontal fracking during the past decade gave shale gas output a major boost. Fracking sites have grown from around 18,000 to almost 25,000 within just a decade. That's almost a 40 percent growth. Despite the potential economic benefits to be reaped from shale gas, the effects to the environment, wildlife and humans may be devastating. Little is known about its long-term environmental impacts, but its short term impacts are already disturbing. The fracking process, which uses over 100 chemicals, produces massive amounts of toxic and radioactive waste. It has been known to contaminate drinking water and produce earthquakes. Hazardous pollutants are also released into the air. Fracking wells release methane gas known to trap 87 times more heat than carbon dioxide in the atmosphere. Thousands of leaks, spills and accidents related to fracking have negatively impacted water quality in rivers, streams and shallow aquifers. Since 1990, the EPA has acknowledged the link between fracking and increased earthquakes. Fracking has been reported to cause declines in property value, damage to public roads, increased crime and a rise in demand on emergency services. The dangerous chemicals used in fracking are known to cause life-threatening illnesses, including cancer. In 2015, an EPA draft report revealed more than 150 instances of groundwater contamination due to shale drilling and fracking. Some residents in affected areas even reported being able to light their water on fire due to gas contamination. There have been instances of fracking water trickling into pastures and streams. In Kentucky’s Acorn Fork Creek, waste water from neighboring sites virtually wiped out almost all aquatic life in parts of the fork. The dead fish were found with lesions on their gills and their livers and spleens badly damaged. The creek was formerly one of the cleanest in the country and billed an Outstanding State Resource Water asset. It is home to an endangered species of bird, the diminutive colorful minnow called blackside dace, which is protected under the the Endangered Species Act (ESA). A particular method of fracking, called Marcellus Shale Drilling, creates brine in the millions of gallons of water that the process needs. Brine is a solution of salt or sodium chloride in water. The brine causes the creation of TDS (totally dissolved acids) which is perfect for the breeding of golden algae. It was such algae that accounted for the deaths of thousands of fish in Dunkard Creek, Pennsylvania. Over the past decade, more than 350,000 acres of natural land have been damaged all over America by fracking activity. Whole ecosystems have perished in these places. Each fracking operation needs anywhere between 900 to 1,200 truckloads of materials. 30 acres of forest may also be cleared to make way for a drilling station. The Ohio Environmental Council has already reported disruption to the habits of birds and nocturnal animals caused by such activity. In California, frenetic fracking activity can pose serious threats to the habitats of creatures like the endangered California condor, the blunt-nosed leopard lizard and the San Joaquin kit fox. Domestic animals like cats and dogs and even horses could come under threat. On the heels of the Kentucky disaster, the U.S. Fish and Wildlife Service has set the tone for offenders by imposing a penalty of $50,000 for violation of the ESA. There have been cries for even larger fines from conservationists. While there have been increasing pressures by the fracking companies for new licenses, conservation organizations are urging the government to act soon and ban fracking in and around all wildlife zones. It is hoped that better sense will prevail and the government will act to protect humans, wildlife and ecosystems before it is too late.